In 1390 the Forme di Cury, written by the chef to King Richard II, described a cake made using softened cheese and pastry. This was a luxury tart saved for feasts and made almost exclusively for the rich of medieval England. Although this is the first recorded cheesecake recipe in the English language, you will find that the recipe for cheesecake goes much further back in history. From the water mill to the alarm clock through to democracy and philosophy, the ancient Greeks have their fingers in many pies. One pie (ahem) that they most definitely had a hand in was the invention of the cheesecake. Plain New York cheesecake with fresh strawberries. The first reported mention of something like cheesecake is from 5 BC. The polymath physician Aegimus dedicated a book to the process of sweetening cheese with honey. For context, this guy was fixing ancient Greeks before Hippocrates came on the scene and is said to have written the first book describing the pulse. 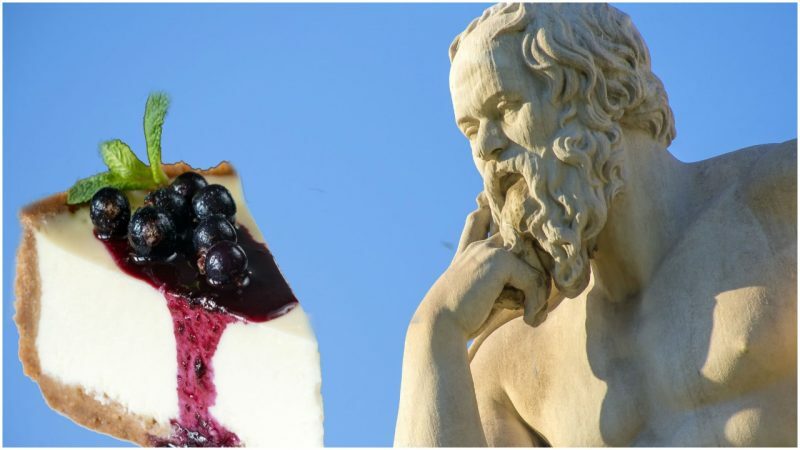 As our friends over at ThoughtCo report, there is some evidence that cheesecake was served to competitors at the first Olympic games. 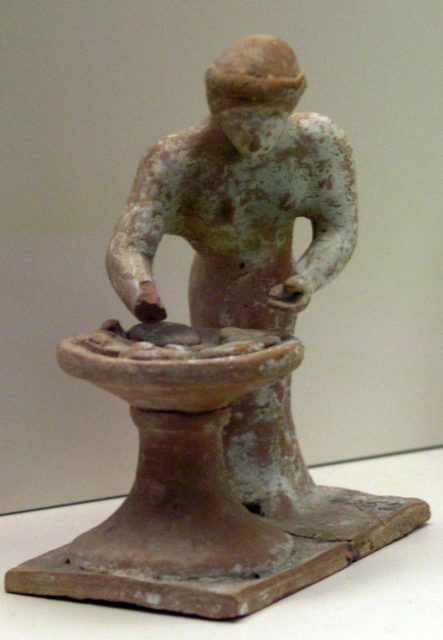 The first recorded recipe for something approaching the modern cheesecake actually comes from the Romans who, after the fall of Greece, assimilated the Greeks traditions, foods, and culture into their own. Cato the Elder was never going to be Emperor, he rose from humble beginnings to military success and landed himself a job as a Roman Statesman. 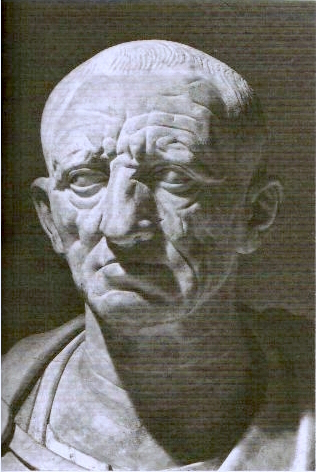 According to the Encyclopaedia Britannica, Cato the Elder was a bit of a curmudgeon, taking umbrage with everything from luxury to women’s financial freedoms, and as a result he made himself quite a few enemies. For all his quirks, Cato the Elder is noted as the first influential Latin writer. Only one of his books survives in full and that is the De Agri Cultura, written in 160 BC. It contains not only details of farming methods but also a recipe for cheesecake that resembles something more like the pastry-based cheesecake we know today. As reported in What’s Cooking America, cheesecake was known as either Placenta or Libuma and it was used in religious ceremonies as offerings to the Gods. As the Roman Empire spread its tendrils across Europe it brought with it all the trappings of modernization (roads, plumbing, libraries to name but a few examples) and it also brought with it the recipe for cheesecake. By the time the Frome de Cury was written, Europeans had been developing and indeed, improving upon the cheesecake recipe for hundreds of years. As reported by cheesecake.com, it wasn’t until the 18th Century that something resembling the cheesecake we know and love today started to emerge. 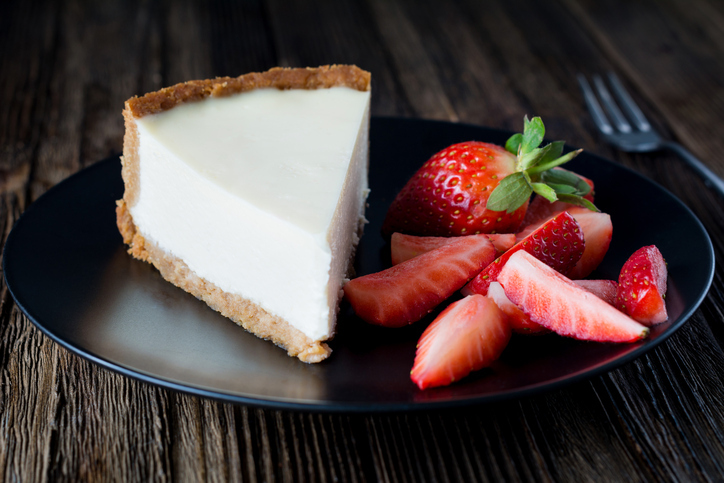 Around this time, cooks started to raise their cakes with beaten eggs rather than yeast and it was this change that made cheesecake into a dessert rather than a savory. Cheesecake was used in religious ceremonies as offerings to the Gods. As settlers emigrated to America so to did the recipe for cheesecake. Its modern incantation is itself a story of evolution. From the invention of cream cheese to the adoption of it as a staple in the restaurants of Arnold Reuben where it was sold to clientele and was soon copied by his competitors. 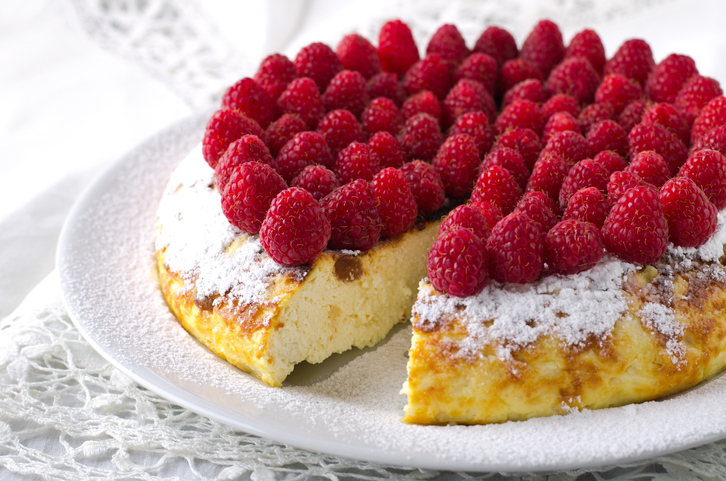 This and its fruit topped variations became known as the ‘New York’ style cheesecake. Cheesecake is now an American institution, not quite as American as apple pie but maybe a close second. The New York style cheesecake is the traditional American cheesecake, it is such a part of American culture that there is even a national day of celebration dedicated to the dessert. If you’re wondering, that would be the 30th of July.